The growing diversity of services using cloud computing is powering the trend of XaaS— or “Everything as a Service”—today. U2Cloud excels in facilitating and supporting their clients’ needs with as much—or as little—deployment as they need. The company has purposefully built their architecture to provide infrastructure as a service (IaaS), software as a service (SaaS), desktop or workspace as a service (DaaS), and disaster recovery as a service (DRaaS) that is fully secured, available 24/7 and engineered to provide a high-fidelity user experience. U2Cloud’s differentiator is their holistic, flexible approach that focuses on aligning their solutions to ensure that their client’s business goals are met. By purposefully building their architecture to support “XaaS,” they can deploy “as a Service” instances very quickly, securely and accurately. 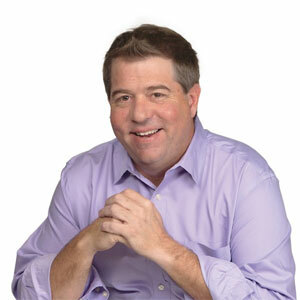 According to Pete Valentine, EVP at U2Cloud, “We were very early adopters of software defined storage as well as software defined networking, so we can provision 10x the volume within a couple of mouse clicks vs. the traditional 2-7 days provisioning to set up storage, network, firewall, security and any service chain insertions.” U2Cloud also sees their services as platform agnostic. By partnering with many different providers, resources can almost be custom tailored to a specific desktop through user profiles, ensuring power users have all the resources they need, but lower volume users aren’t overwhelmed. In addition, the more technology their clients bring into the cloud from their enterprise, the better the user experience for their workforce, especially if users are working with heavy multi-media files. Virtualization is spreading and U2Cloud is seeing growth in new verticals like healthcare, legal, training and simulation, architectural, and higher education—especially with their Virtual GPU offering. By creating VGPU compute-pods, for example, a university can dispose of the physical computer lab and deploy software access to as many students as required on a ‘as needed’ basis virtually anywhere. The university doesn’t have to dedicate the space to the computer lab or staff to maintain the machines or the space. The lab is now in a virtual environment. Savannah State University (SSU) took advantage of U2Cloud’s capabilities to provide students and faculty with anywhere access to the next generation of collaborative learning environments. As SSU’s technical curriculum grew, students became more dependent on the limited number of physical computer labs located throughout the campus. Lab demand was increasing and existing labs required round-the-clock physical security and an onsite lab admin. They also consumed power, cooling and valuable real estate. The costs were skyrocketing. By partnering with U2Cloud, SSU is now able to deliver a virtual lab experience to any student located anywhere and do so on par with a physical computer lab.